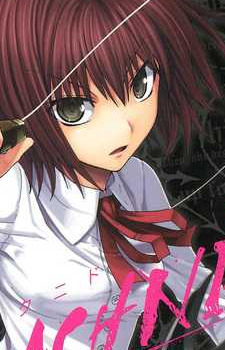 Alice is the main heroine of Arachnid. After her mother commited suicide, she had been living with her abusive uncle. On the day that her uncle was killed, the assasin "Kumo" took her in and trained her to kill. She has a disorder called C.E.C (Congenital Excessive Concentration), which means ones she focuses on one thing she is unable to focus on anything else especially what happens around her. Because of this, she had been the subject of criticisms, abuse and often seen as "dull". When she is faced with life-threatening situations, however; her reflexes and judgments are improved. Alice is normally kind, however, when in this mode, she becomes violent and believes that "before they kill her, she has to kill them". After killing Kumo, she was chased out of the apartment which belonged to "the organization" and is now living in Yori's house. She is also constantly targetted by other organization members.